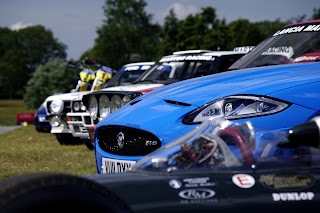 The Cholmondeley Pageant of Power (15-17 July; www.cpop.co.uk) is set to be more action-packed than ever this year, with race cars classic and modern, motorbikes, helicopters, powerboats, the UK’s only British Army combat power assault simulation and a stunning Fireworks Concert. Last year the Pageant, located in the Cholmondeley Estate in Cheshire, welcomed 50,000 guests, and this year advanced ticket sales are up by 40 per cent. Until 18:00 Thursday 14th July, tickets for the three-day event will remain available at a discount when purchased online, starting at just £17 for adults and £5 for children. Now in its fourth year and voted Best Tourist Event in Cheshire in 2010, the Pageant in 2011 will feature a series of exciting new features. 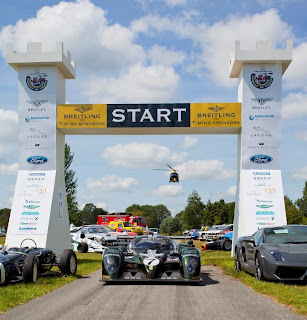 With the continued backing of Founder-Sponsors Bentley Motors, Breitling and Eurocopter, the event has also been extended to three days with a new ‘Preview Day’ on Friday, where the focus will be on track activities, vehicle preparation and practice sessions. The crowds will also be able to mingle with famous names from the worlds of sport and entertainment, including world-champion rally driver Juha Kankkunen, five-time Le Mans-winning racing legend Derek Bell, Olympic gold-medallist Rebecca Romero and comedian John Bishop. The morning of Friday 15 July at the Pageant will start with the ‘Magnificent Marques’ (Bentley, Jaguar and Ford) taking to the track so their guests and members of the press can experience the 1.2-mile course first-hand at a thrilling pace. Throughout the weekend there will be non-stop on-track action, featuring an eclectic mix of more than 150 high-octane race and road cars taking part in the event’s timed sessions and parade runs. Some historically-significant race cars will compete alongside modern supercars on the venue’s testing circuit, as well as being on view in the paddocks throughout the event. Last year, Nikki Faulkner established a new track record of 62.68 seconds in a Lamborghini Gallardo Superleggera. Famously successful racing cars at the 2011 Pageant will include Sir Stirling Moss’s 1961 Monaco GP-winning Lotus 18, Jim Clark’s 1963 championship-winning Lotus 25, Jackie Stewart’s triumphant 1971 Tyrrell-Ford and Bentley’s glorious Speed 8 Le Mans 24 Hours victor from 2003. Racing saloon cars will also star, with “the most beautiful E-type ever” (Lindner Nocker’s Low Drag Lightweight restoration) topping a cast which includes an AC Cobra, Ford GT40, and a host of Ferrari, Porsche and Jaguar sportscars. Hundreds of other cars will also feature in static displays, and the combined value of the vehicles at the Pageant will exceed £150million. Adding to the spectacle, professional Nissan stunt driver Terry Grant will be attempting to become the fastest four-wheeled vehicle to race around the track on just two wheels in the Nissan Juke. Other innovations for 2011 include a purpose-built 1.3-kilometre tarmac Rally Stage that will play host to more than 30 rally cars, including a line-up of legendary and Group B machines (1982 to 1986), headed by Audi’s awesome 1983 Quattro. Green-Car-Guide Live! will be a new area dedicated to green performance motoring. Visitors can see the all-electric Nissan LEAF hatchback, Volkswagen’s latest BlueMotion products and the first UK public outing for the brand new 62.8 mpg BMW 520d EfficientDynamics. The area also features vehicles from Jaguar, MINI, Ford, Citroen, Mercedes-Benz, Mitsubishi and Oaktec Honda’s remarkable Insight rally car. On track, Nissan’s first electric prototype race car will be in action. More than 40 world famous classic and modern motorcycles, including many marques from the golden age of British motorcycling, will attend. This year’s ‘star attraction’ will be the fabulous 1977 factory Kawasaki KR750 racer ridden by Tom Sykes. Britain’s World Superbike ace will also push his 2011 ZX10R Kawasaki to the limit around the course. Away from the track, there will be awesome on-water thrills, with F2 Catamarans ripping across the Deer Park Mere at incredible speeds, and seven classes of powerboat competing for Breitling-sponsored awards. The recently launched Bluebird Electric Water Speed record-challenger will be present, together with famous wetbike from The Spy Who Loved Me. In the air, brilliant aerobatics will be executed by the Breitling Wing Walkers, the Abarth Extra 300 SC high-tech stunt plane and the elegant Redhawks duo. Sure to be a crowd favourite will be the 10 replica warbirds of the WW1 era that will fill the sky and complete a simulated dogfight. Helicopter pleasure flights will also be available during the event. The Army and RAF will also put on a live-action combat power assault display with a mock-attack on an enemy position using an array of military hardware – the only demonstration of its kind in the UK this year. Saturday night will end with an extravaganza of music as the Pageant’s Firework Concert and military tattoo aims to raise thousands to help Combat Stress and Remount’s work with veterans. The Mossley Brass and Military Marching bands will be followed by the Manchester Camerata Orchestra and a sensational fireworks finale. For 2011, the Pageant gates open at 08.00 each day. Friday is Preview Day with no air or water displays, but plenty of action on the track. Park (basic admission) tickets for Saturday and Sunday cost just £17 (adult) and £5 (children aged 4-15 years). Paddock tickets, which allow visitors to view all the participating machines and their drivers up-close, cost £20 (Friday) and £27 (Saturday & Sunday). Tickets for Saturday night’s special Concert & Fireworks display cost £25. Park, Paddock and Concert tickets can be purchased on the day at the estate entry points for £20, £25 (Friday) and £30 (Saturday or Sunday), and £30 respectively. Special combined tickets are available only by booking in advance. A three-day Paddock pass and Concert ticket is priced at £85 (a saving of £14), while a Saturday Paddock pass and Concert ticket costs £45 (saving £7). A range of high quality hospitality packages are priced from £75 to £234, booking essential. Ticket booking details and further event information can be found at www.cpop.co.uk or by calling the ticket hotline on 01829 772 432. On all three days, admission for children aged under 4 and car parking are free.